The past 48 hours have been crazy, crazy, crazy. And I’ve been thankful for that. Public enemy #1. Accused of making insanely delicious treats. 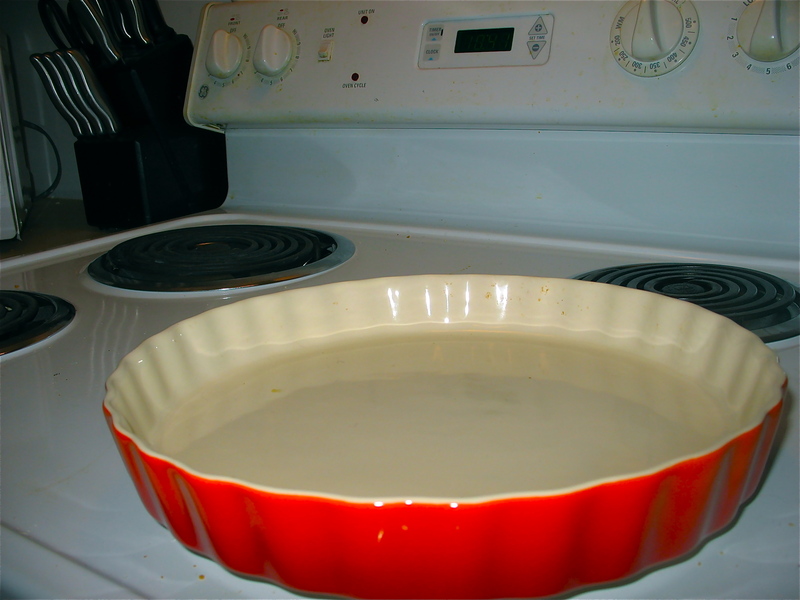 I used a pie pan because...well, I like it. And you know you wanted another picture of my stove. *I’ve seen some recipes for this type of cake that call for sugar in the “dough” that makes up the cake. I left it out because 1) I like to avoid excess sugar, and 2) I forgot it the very first time I made this cake and didn’t even notice. It was still delicious, but had a bit more of a dark chocolate taste to it. Use your preferences as a guide – just know it can be made with only the 1 cup of sugar! 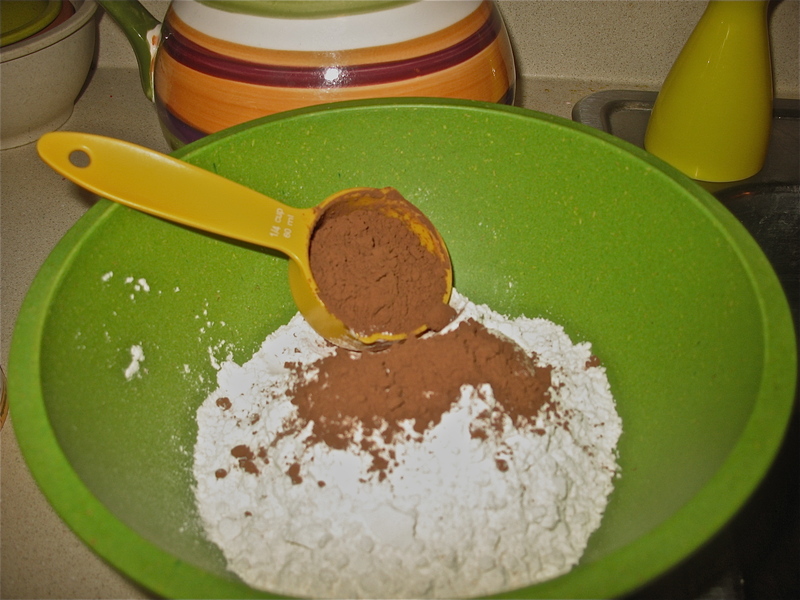 In a large bowl, mix the flour, 1/4 c. of the cocoa powder, baking powder, salt and sugar (if using the extra one cup). Set aside. In a medium bowl, combine the milk, applesauce, and vanilla. 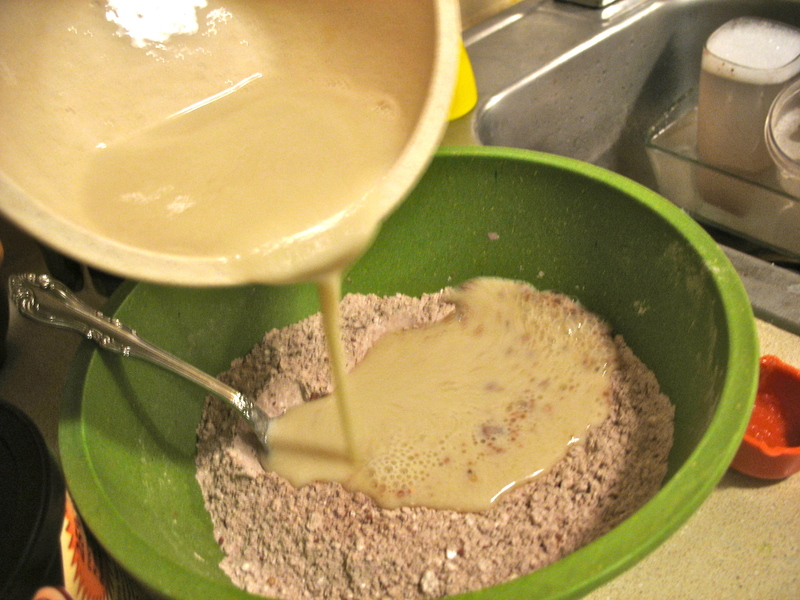 Once combined, pour the wet mix into the dry, and mix until a thick dough forms. Please ignore the dirty dishes in the sink. It might convince you that I'm actually human. Spread the dough into your pan of choice. The dough may need some convincing to spread, as it will be thick, but give it time and it’ll be just fine. 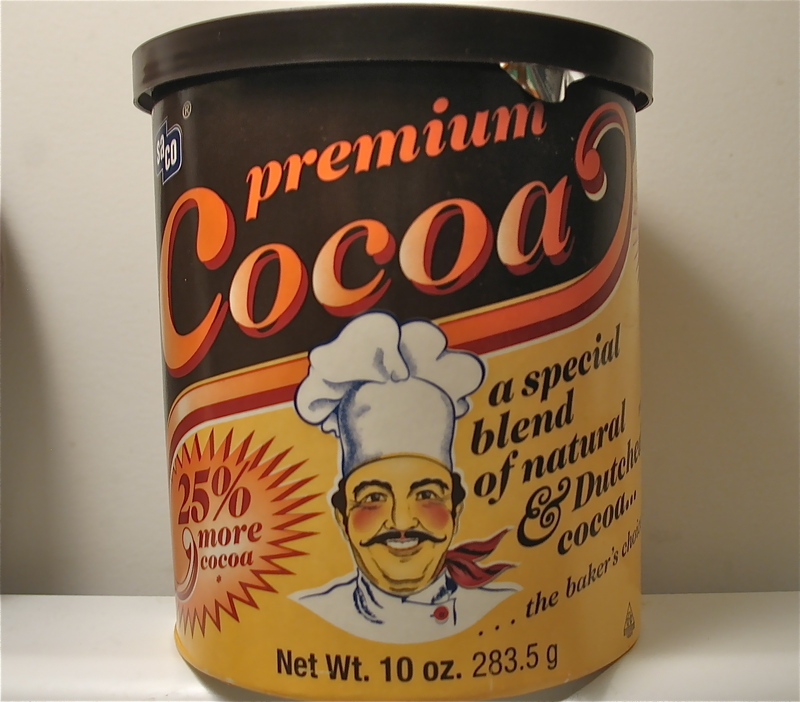 In a large bowl, combine the sugar, hot water, and remaining 1/2 c. cocoa powder. 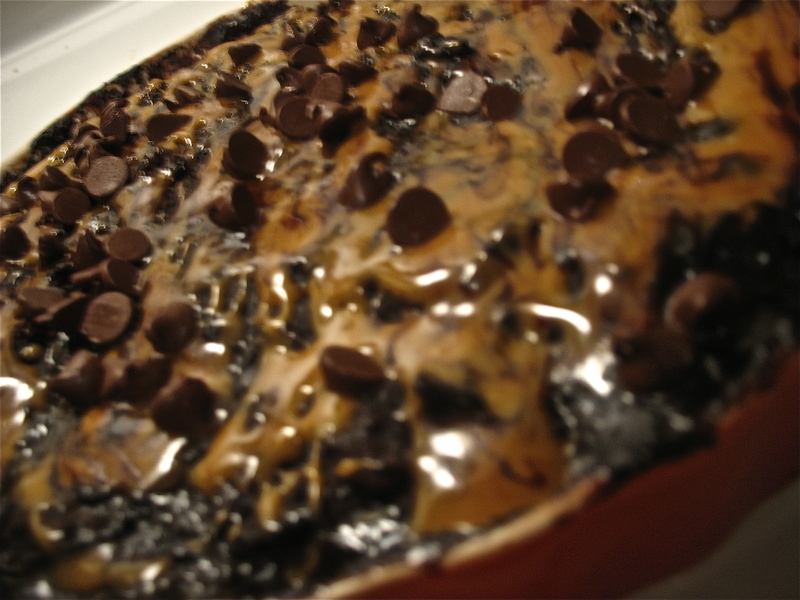 Pour over the dough mixture in your pan, making sure to saturate the dough as best as possible. 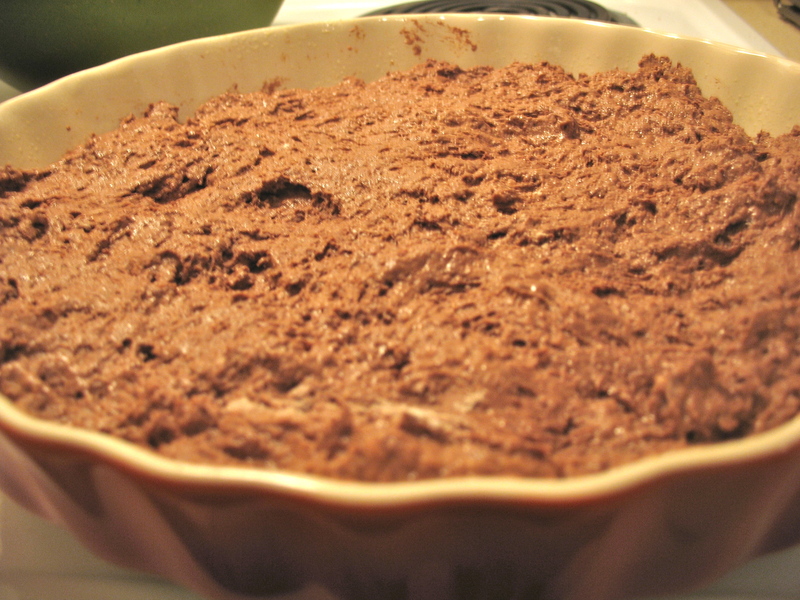 Bake for 40 – 50 minutes, until a toothpick inserted into the center of the cake comes out clean. 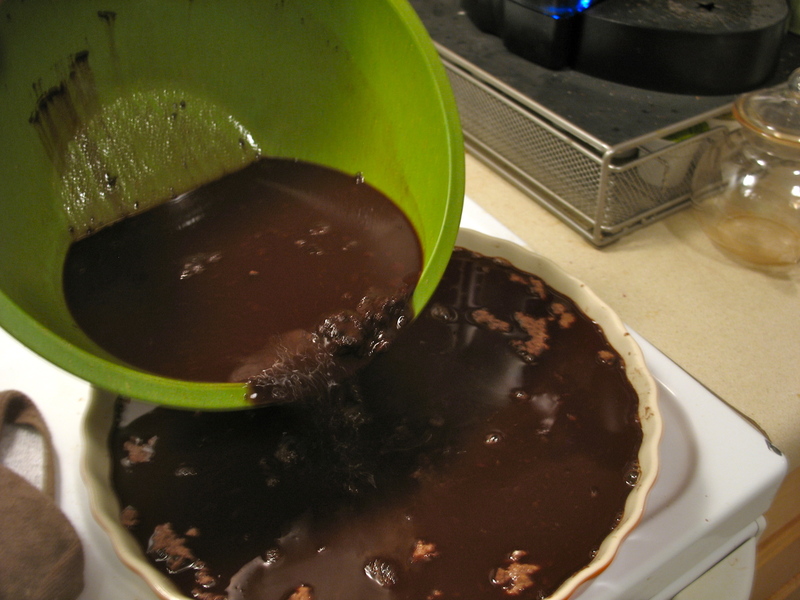 Allow cake to cool in the pan for at least an hour – the dough will absorb some of the additional cocoa/water/sugar liquid and get extra moist during this time. 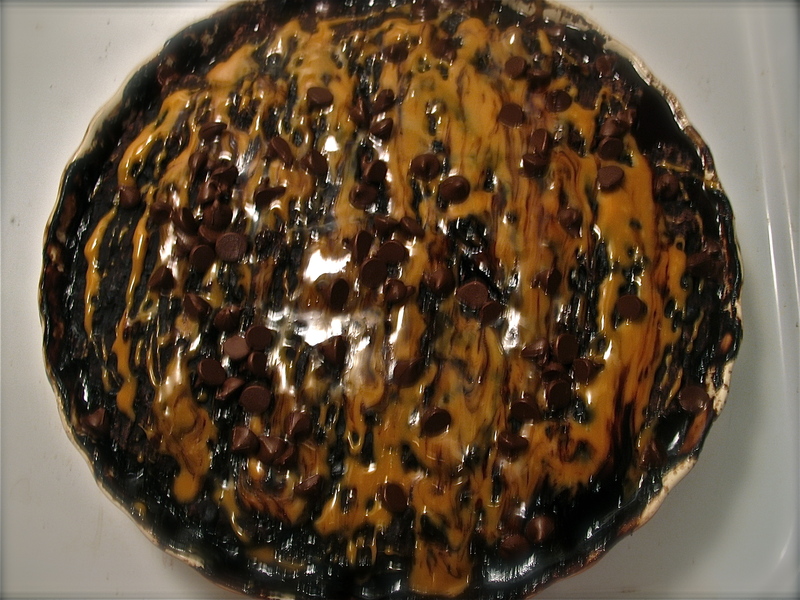 I covered mine with caramel and chocolate chips to make it a bit more dressy and, heck, do you always need a reason to add caramel and chocolate chips? I didn’t think so! It’s such a delicious, rich cake, and one of the best parts is that it’s a relatively healthy dessert, considering there aren’t eggs/dairy milk/butter in it. My family loved it. One of my cousins took a huge bite, looked at me and said “I don’t know whether I should hate you or love you for this, so I’m going to just keep eating it.” You’re welcome, dear cousin. You’re welcome. It was a wonderful cake, a wonderful day, and no better way to celebrate how much I have to be thankful for. And I am – I’m thankful for life, for love, for family and friends, and for you, dear readers.